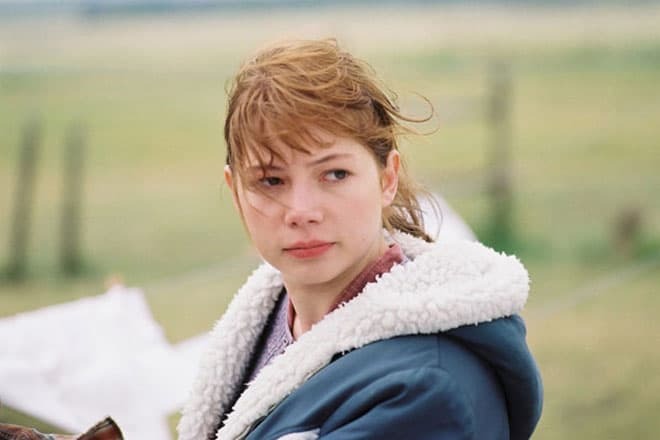 Michelle Ingrid Williams is a movie actress of the American origin who has become famous due to her primary role in the drama My Week with Marilyn for which she has received the Golden Globe Awards. Michelle is a repeated nominee for the Academic Awards, BAFTA and Tony Awards. Michelle was born on the 9th of September, 1980 in Kalispell in Montana State. The girl's father, Larry R. Williams, was engaged in the trade of the securities. His mother Carla Ingrid Svensson has Norwegian roots, and she dedicated herself to the upbringing of her children – two daughters Michelle and Paige and her husband’s children from the first marriage. In 1989 the Williams family moved to California, to the town of San Diego. Michelle began to have problems with the peers, and her parents had to transfer the girl to the house schooling. At the same time, she went in for boxing and also became interested in the work in the theater and cinematography. At the beginning of the nineties, Michelle Williams started to attend the auditions and even took part in the episodes of the movies Baywatch, Lassie, Step by Step. 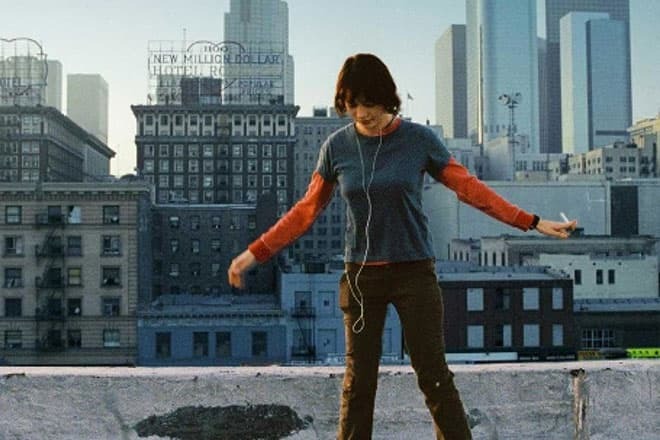 At the age of fifteen, the girl moved to Hollywood with the help of her father and even transferred to the distance studies. A year later Michelle received the diploma about the secondary education in advance and got engaged entirely in the acting. At the age of fifteen, Michelle took part in the fantastic horror movie Species where she presented the character of Sil in youth. Also, she participated in the TV movies My Son Is Innocent and Killing Mr. Griffin. In 1998 the girl began to work on the character of the schoolgirl Molly Cartwell from Steve Miner's horror picture Halloween H20: 20 Years Later. The same year Michelle received the role of Jen Lindley in the youth series Dawson's Creek which lasted for six seasons. All the four leading characters of the movie – James Van Der Beek, Katie Holmes, Joshua Jackson, and Michelle Williams – have received a successful start after appearing in this picture. In 1999 the comedy under the title directed by Andrew Fleming came out on the screens of the movie theaters. This movie tells about two girls – Betsy Jobs (Kirsten Dunst) and Arlene (Michelle Williams) – who got acquainted with the U.S. President - Nixon (Dan Hedaya). A year later the actress transformed into the girl of nonconventional orientation in the drama If These Walls Could Talk 2 in which the major roles were performed by the actresses Vanessa Redgrave, Sharon Stone, Chloë Sevigny, Ellen DeGeneres. At the beginning of 2000-s, the actress enriched her filmography with the roles in versatile movies: Perfume, Me Without You, Prozac Nation, The United States of Leland, The Station Agent, A Hole in One. In the comedy Imaginary Heroes directed by Dan Harris, Michelle has got the leading role of Penny Travis, in the drama Land of Plenty directed by Wim Wenders which was presented at the Venice Film Festival, Williams worked in the duet with John Diehl. In 2005 the actress participated in the shootings of the cult drama Brokeback Mountain in a company with Jake Gyllenhaal, Heath Ledger, Graham Beckel, Randy Quaid, and Anne Hathaway. This picture directed by Ang Lee has earned $180 million in the world hire, and Michelle was nominated for Academic Awards and Golden Globe Awards for the first time. A year later the drama The Hawk Is Dying was released in the movie theaters. In this picture, Williams was included to the main cast together with Paul Giamatti and Michael Pitt. After the range of the roles in the movies I'm Not There, Incendiary, Deception, Wendy and Lucy, Synecdoche, New York and Mammoth Williams appeared on the movie set of the American melodrama Blue Valentine. In this movie, the actress together with Ryan Gosling performed the loving couple. For the embodiment of Cindy's role, the actress was nominated for Academic and Golden Globe Awards. This drama narrating the difficult relations in the couple was presented at the Cannes Film Festival. The same year Michelle received one of the leading roles in the picture Shutter Island directed Martin Scorsese in which she performed in the duet with Leonardo DiCaprio. In 2011 there came out the biographic film My Week with Marilyn directed by Simon Curtis in which Michelle embodied the star of the sixties - Marilyn Monroe. Williams has successfully managed to pass the audition and to leave behind other pretenders for the major role: Scarlett Johansson, Kate Hudson, and Amy Adams. The actress was ideal for this role not only due to her appearance and parameters (her growth is 163 cm, and she weighs 56 kilos) and resemblance that is visible both on the photos and in the acting. But during the shootings, the director asked the actress to gain extra kilos. As a result, Michelle has put on seven kilos for this role. Also, Eddie Redmayne, Julia Ormond, Kenneth Branagh, Pip Torrens, Emma Watson were included in the cast of this drama. For the first time, Michelle Williams received her Golden Globe Awards for Best Actress and also nominations for Academic Awards, BAFTA and Satellite Awards. In 2011 Michelle took part in the creation of the comedy Take This Waltz in which Seth Rogen became her partner on the movie set. The love triangle is in the center of the plot. The actress has received the role of the married woman who becomes involved in the new love affair. According to the plot she had to appear in front of the movie crew in a swimsuit. Williams felt confused. The one-piece red swimsuit with the white spots hasn't impressed the actress greatly. However, as soon as she saw her colleague Sarah Silverman wearing a bikini with the not less bright print, she wasn’t confused anymore. 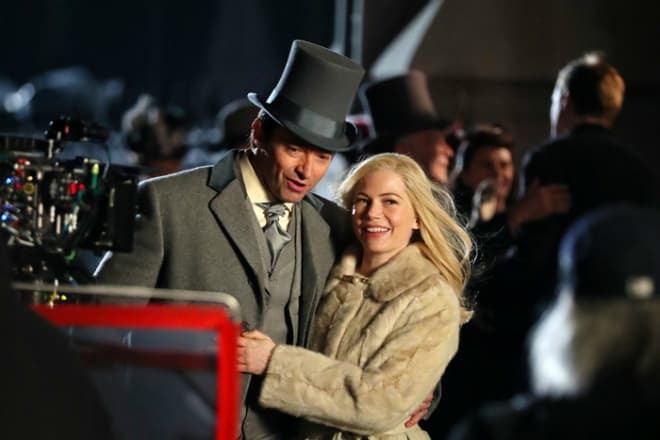 In 2013 the adventure movie Oz the Great and Powerful directed by Sam Raimi came out on the screen. In this movie, the actress performed the role of the kind magician Glinda. James Franco, Mila Kunis, Rachel Weisz, Abigail Spencer also took part in this movie. At the same period, Michelle Williams appeared on the pages of the fashion magazines and had become the official face of Louis Vuitton bags advertising campaign of the season 2013/2014. 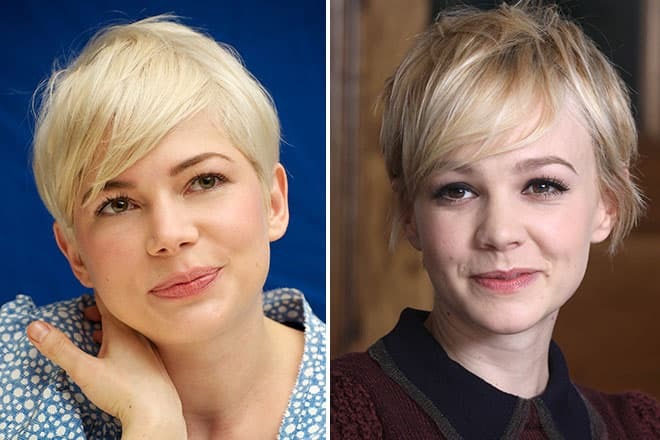 In the pictures, one can notice that the actress looks very similar with her colleague in the acting industry – the star of the movie The Great Gatsby - Carey Mulligan. The thing is that both actresses stand for the natural beauty. They don't like to overload their faces with the cosmetics and quite often appear in public without make-up. Also, they haven’t had plastic surgery. In 2016 Michelle Williams appeared in the drama Manchester by the Sea directed by Kenneth Lonergan in which she performed the role of Randi Chandler, the ex-beloved of the leading character Lee Chandler played by Casey Affleck. For her work, Michelle was nominated for Academic Awards. In 2017 there was held the premiere of the picture Wonderstruck at the Cannes Film Festival. This movie was based on the same-name book written by Brian Selznick in which Michelle Williams received the role of Elaine. In 2005 during the shootings of the movie Brokeback Mountain Michelle Williams began to have close relations with the Australian actor Heath Ledger. The young people started living together. Soon they delighted their fans with the news that Michelle was expecting for a baby. On the 28th of October, 2005 Michelle gave birth to their daughter Matilda Rose Ledger. But unexpectedly after two years of relations, they parted. Various reasons of their separation were discussed: busy working schedule of the actors, and Heath's heroin addiction ( Ledger's acquaintances more believed in the second version). Now it is unlikely that someone can tell the truth about it. Heath was hardly overcoming his loneliness and because of the divorce began to use strong tranquilizers. In 2008 the actor died while sleeping because of the overdose by some unknown substance. The police refused to disclose the title of this substance. The death of the ex-husband became a tragedy for Michelle Williams, and she even couldn't even take part in the movies for some time. After 2010 the personal life of the actress began to improve. At first, Michelle was said to have a love affair with her colleague Ryan Gosling on the picture Valentine Day. Later, Williams started to have relations with Jason Segel. Sometime later the paparazzi have captured the actress with the financial consultant Andrew Youmans. Michelle with her daughter and Andrew had rest together on the Bahamas. The American mass media even discussed the engagement of the couple. Allegedly, the paparazzi noticed the engagement ring on the actress's finger. But for some unknown reasons, these relations haven't resulted in the wedding. In July of 2018, there appeared the information that the actress had secretly married. But she hadn't got married to Andrew Youmans as it was expected. The actress decided to announce this event to the public herself in the big interview to the American Vanity Fair edition. In spite of the fact, Williams is not a public person, and she doesn't lead pages on Instagram and Twitter. She decided to open some secrets of her private life. 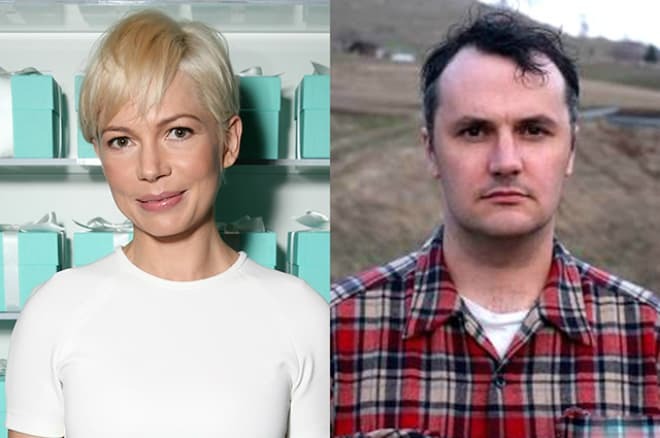 The musician Phil Elverum who performs under the pseudonym of Mount Eerie became the beloved man of the actress. It was the second marriage for the man. In 2016 his wife died from cancer, and he left with their 2-year-old daughter. Before the acquaintance with Michelle, he was living in Washington. Though, according to the information of the American mass media he has recently moved with his daughter to Williams’s apartment in New York. 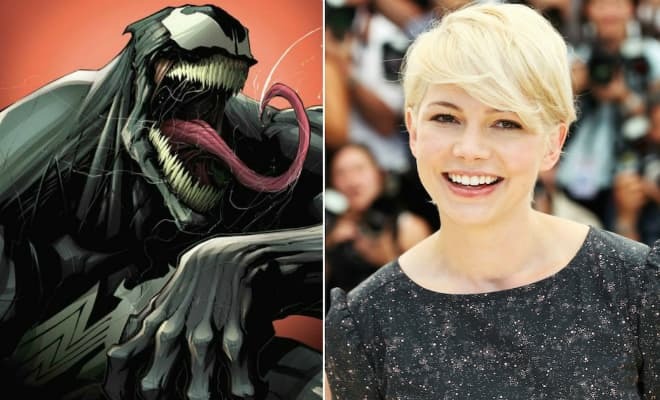 In 2017 it became known that the actress became the member of the cast of the film under the title Venom about one of the most significant villains from the Spiderman's Universe. She will play the character of Ann Weying -the district attorney and the beloved woman of the leading character performed by Tom Hardy. Moreover, Woody Harrelson, Riz Ahmed, Jenny Slate, and others will participate in this movie. The premiere of the film is set for the autumn of 2018. In the summer of 2018 there was released the comedy I Feel Pretty in which Michelle got one of the major roles. It’s noteworthy that on the movie set Michelle again met face to face with Busy Philipps – her friend in real life. They have already performed together in the TV series Dawson’s Creek. In April of the same year, there appeared the news that the actress would take part in the remake of Susanne Bier’s movie After the Wedding. This time Bart Freundlich will be the director of the film. Michelle and Julianne Moore received the major roles in this movie. Also, the star participated in the shootings of the eight-episode series of FX TV channel. The Oscar-winning actor Sam Rockwell became her partner in this movie. The exact title of the picture hasn't been announced yet, but the plot will tell about the choreographer Bob Fosse and his relationship with the dancer Gwen Verdon.